High Class Algarve Chauffeurs request a minimum of 24 hours notice for any online bookings. Whilst we do our utmost to ensure our drivers are punctual, you will understand that we cannot accept responsibility for delays caused by circumstances outwit our control. We will carry 1 suitcase and 1 hand luggage per client. Any extra baggage (ex. golf clubs, surf boards, bicycles) must be disclosed on booking. We cannot be responsible to carry any extra luggage not declared. By supplying your email address you permit High Class Algarve Chauffeurs to contact you via email, in return we promise never to supply your email to any third party. If there are any changes or variation’s including extra mileage to the journeys other than what was agreed at the time of booking, the client will be charged extras in accordance with the pricing structure on our website. Every effort will be made by High Class Algarve Chauffeurs to ensure that our vehicle(s) or Sub-Contractors vehicle(s) arrive on time. Please be aware vehicle color and specifications may vary. High Class Algarve Chauffeurs vehicle(s) and sub-contracted vehicles are fully insured for passenger and third party claims. However, customer’s properties are carried entirely at their own risk and High Class Algarve Chauffeurs shall not be held responsible/liable for any loss/damage to such property. Passengers are advised to check their own travel insurance. High Class Algarve Chauffeurs will keep a lost property book at their office, and will endeavor to return any lost goods left in our vehicle(s) or subcontracted vehicle(s) to the customer. High Class Algarve Chauffeurs and its representatives have the right to refuse to carry any passenger who is thought to be under the influence of alcohol or drugs and whose behavior poses a threat either to the Chauffeur, the vehicle or any other passenger(s). High Class Algarve Chauffeurs maintain a strict non-smoking policy in all its vehicles. Consumption of food and drink during transfers are to the discretion of the driver. Baby/child safety car seats are recommended to be fitted by parents; drivers are not responsible for fitting equipment. High Class Algarve Chauffeurs may refuse to carry babies or children without appropriate seats. Online quotations do not allow for public and bank holidays like Christmas Day or New Year’s Eve where there may be an additional surcharge. A surcharge of 20% will be made for services provided (excluding extras) when a journey is from 21:00 eve until 06:00 am. 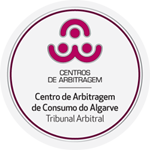 Nothing contained in these terms and conditions can affect the Client’s’ statutory rights under the Laws of Portugal.